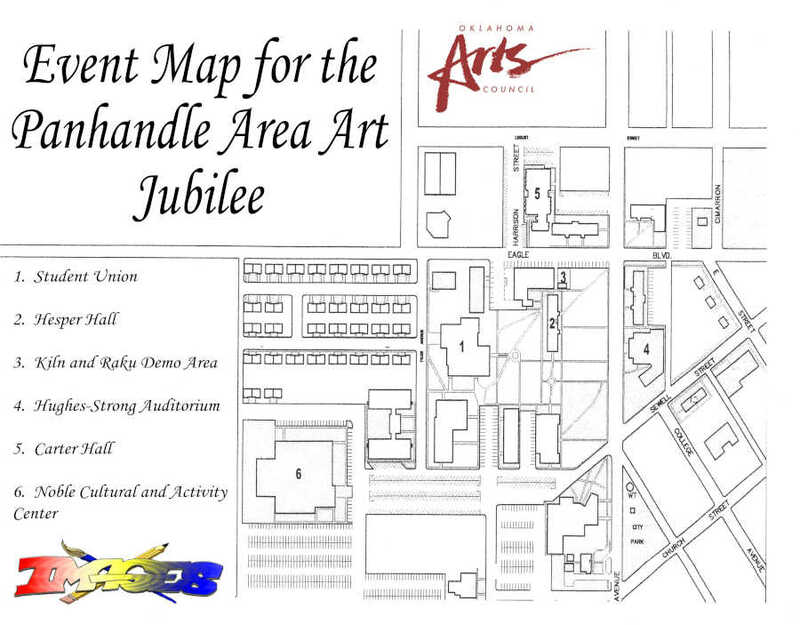 The Oklahoma Panhandle State University Art Department, Images, and the Galleon Restaurant cordially invite your school to the 21tst Annual Panhandle Area Art Jubilee. We would like to see your art students on the OPSU campus for a day of art activities on April 10, 2019 . Contest events include the legendary Sidewalk chalk drawing, computer graphics, pottery, and a quick draw. The demonstrations will include potter’s wheel throwing, assembling of wheel thrown clay pieces, raku firing techniques, pastels, watercolor painting, painting, computer animation, and photography. We are in the process of finalizing the guest artists and the schedule. We will post everything on the OPSU website ASAP and you will receive additional information in your email.